Wills have no legal authority until the will maker dies. The original Will then will be deposited with the probate court in order to implement the written preparations. You can attempt to avoid probate by only owning properties that are specifically arranged to avoid the process, but that would leave your beneficiaries with no way to get any legal ownership to it. 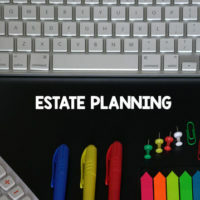 If no will is written, probate still will be necessary if the deceased individual owns the property titled in their individual name at the time of their death. Wills are typically discovered and read after the funeral process. That would, of course, be too late for your loved ones to carry out your wishes for your burial or cremation. It’s best for you to make a separate list of instructions and make sure the executor of your will (or other trusted family member or friend) knows where to find it before you die. Your will is not the correct place to leave any property that is held in joint tenancy with someone else, including your spouse. You cannot pass to others under your Will money in your pension plans, retirement accounts, stocks, bonds, and money left in payable-on-death bank accounts. While we all feel strong connections with our pets, they can’t own assets or property, so don’t try to distribute anything to them through your will. In Florida, you’re able to create a pet trust to provide care for your furry (or scaly) friend after you die. If you don’t want to set up a specific trust, make sure to make arrangements with a trusted friend or family member with a document of instructions on how best to care for the pet. Planning for loved ones with special needs takes extra time and planning. You will need to develop a special needs trust, an ABLE account, or an exempt trust, which will help provide extra financial and service care for your beneficiary without jeopardizing any government assistance they may get. Make sure you also write a letter of intent to inform caretaker about your beneficiaries likes, dislikes, caretaking tips, and routines. For more assistance writing out your will, the attorneys at Legacy Protection Lawyers, LLP will take a comprehensive look at your assets to create the most effective estate for you. It’s never too early to start planning, and comprehension is key. Call our St. Petersburg offices at 727-471-5868 or contact us online to schedule a consultation today.